Hey there! Just wanted to let you know that I really like this premise, and I wanted to check and see when we might be able to expect a first peek at the writing. Hope all is going well! First, I have to give sincerest thanks to everyone who has ordered my book - I understand what your orders mean, and I’m going to try to do right by you. I initially began writing in first person, and while I made a lot of progress, it wasn’t working. I’ve started over in third person, and that will be better for the story as a whole. The first excerpt is coming very soon! I wanted to take a minute to explain the driving force behind this book to help you more reasons to give me a chance to put it out into the world. I think Oscar Wilde’s novel needs a modern update because it deals with timeless human issues - ones that we might see in new ways now that technology, psychology, and forms of media have changed so much. 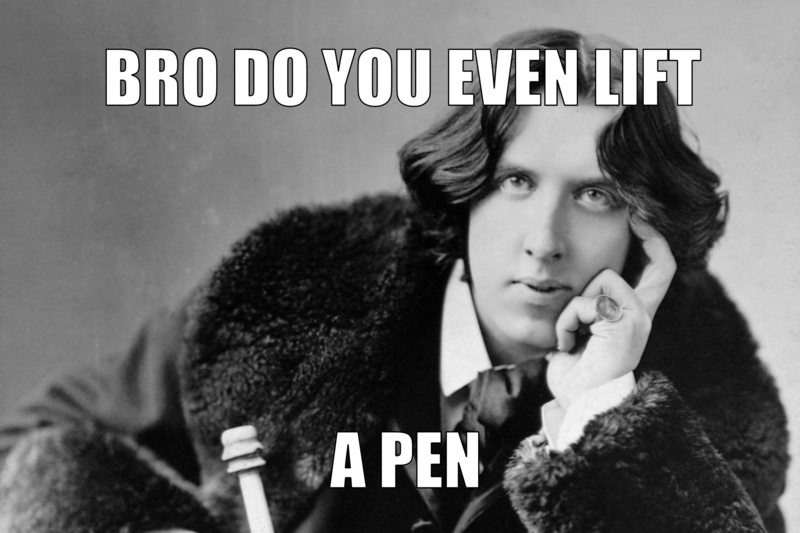 Wilde’s book is all about morality versus aestheticism, the value of beauty, and the costs of the pursuit of pleasure. There isn’t only one interpretation, and sometimes I think there are so many layers of earnestness and satire* that I’ll never get it straight**. I don’t see the original novel as a critique of painting in general, and my book isn’t a critique of video games. Video games are awesome and I want to give an inside look into the creation process without implying that it’s the video game itself that makes everything go to hell. I’m interested in identity and objectification and the darkness embedded in unquestioned wealthy white male privilege. I was courted by a fraternity in college and that’s going to contribute a lot to this story. The case of Brock Turner is also heavily in my mind as I plan (although there won’t be any sexual assault in my book). I’m working on commissioning some art of my characters, and the video game concept is turning out really great. I should have a lot to show soon. **That one was unintentional but I’m still taking credit for it. Hey, everyone who decided to follow! You’re all awesome. Who knew this novella would bring in the most attractive people on Inkshares? I look forward to checking out all of your books. Thanks to some kickass typography from an author with one of the coolest drafts I’ve come across, Rebekka S. Leber, I have a cover. So... I’m diving into the Nerdist contest! I’m working on getting an excerpt ready to show to the world, so expect that soon. Good luck to my esteemed opponents... and happy gaming.